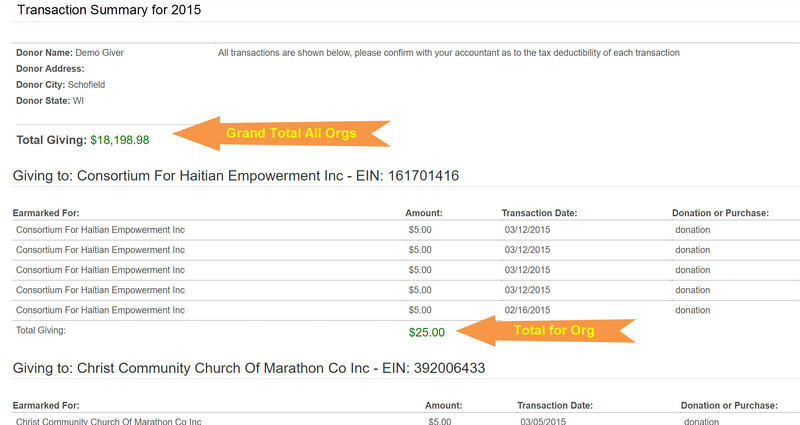 To assist you with your reporting, Continue to Give gives you a Yearly Summary report of your online giving. The Yearly Summary displays the necessary detail for reporting as well as the tax identification number of the organization you donated to. 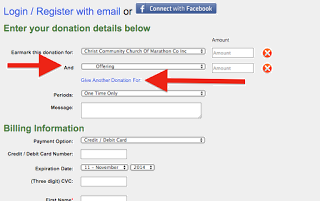 This makes summarizing your donations for online giving for churches and nonprofits easy. We do not guarantee that all your giving is tax deductible. If you have given to a fundraising website and you are not sure, please ask the fundraiser, or your tax accountant. Select Reporting Tools in the left hand pane. Report tabs will display across the top of the page. Select the Yearly Summary tab. Set the Year for reporting. After reviewing, select Click to Print to download your hardcopy. On the sample report below, you will note a Total Giving amount that represents the sum contributed to all organizations throughout the calendar year. The report will then display transaction detail grouped by individual organization. At Continue to Give, we strive to make contributing as effortless as possible. We value and encourage your feedback, so please do not hesitate to contact us at [email protected] if we can make your experience more enjoyable. If you need to update your online giving payment information, view online giving statements, and/or change what card or bank account you donate from them follow these simple steps. How to Log Into Your Continue to Give Account? Click on "LogIn" in the upper right hand corner. If there is no login button you might already be logged in. Use your email as your username. Use the email that we send your receipts to. If this is your first time or you don't know your password you can use the 'forgot password' option. While logged into your Continue to Give account with your email and password, click on the "My Setting" then Account Settings in the upper right corner of your screen to make sure your on your dashboard. From here you can edit or delete the different cards on file. While logged into your Continue to Give account with your email and password, click on the "My Setting" then Account Settings text in the upper right corner of your screen. Your reporting tools should be the first thing you see when you log in and are on your dashboard. Otherwise, click on the "Reporting Tools" tab on the left side. Now you see your transactions you have already given. You need to click on the tab that says "Recurring Donations I Make" to view recurring donations you have setup. Now you should see recurring donations that you have setup. Click on the "Active" ones to edit them. A screen will pop up and you will be able to click to change your payment method. Once you add your new online giving payment method it will save your selection and you will now be charged from you new payment method! It's time to find cool fundraisers to give to or find a nonprofit that is doing work that speaks to your heart! At Continue to Give you can search through a list of fundraiser, nonprofits, churches, missionaries, and their projects to donate to! Find a cause that speaks to you! 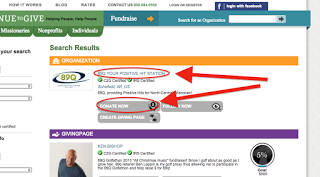 To make a donation or set up a recurring donation follow these easy steps. 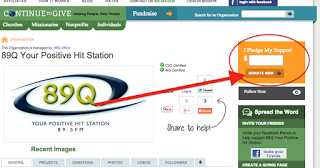 Find your fundraiser by clicking on the magnifying glass in the upper right corner of the Continue to Give website. This will bring you to our search pages. You can use the search filter on the left hand side. Click on the fundraiser that you would like to learn more about. This will bring you to their personal fundraising website page. From here you can read more about the fundraiser's mission. They can have pictures and videos or even a blog. You can choose to donate to them or sponsor any projects they have going on. If you would like to make multiple donations, click on "Give Another Donation for:" and enter the amount you would like to give for each individual project. Finish filling in your information on how you would like to pay for your donation. If you are giving as a guest you will be required to provide an email address so Continue to Give can send you a receipt!